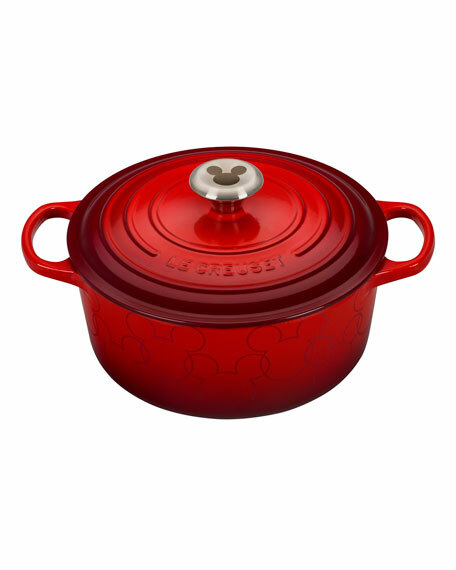 Limited Edition 90th Anniversary Mickey Mouse Dutch oven. Cast iron Dutch oven with Mickey Mouse ear silhouette appliqués around base. Mickey Mouse engraved steel knob.